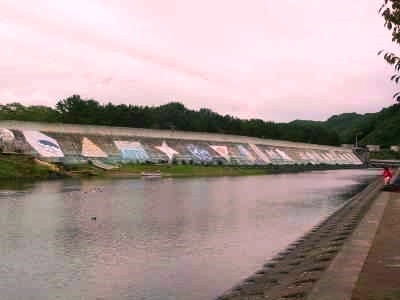 In Japan the constructions of seawalls in the last decade are continued, and at least two massive antitsunami seawalls are under construction. 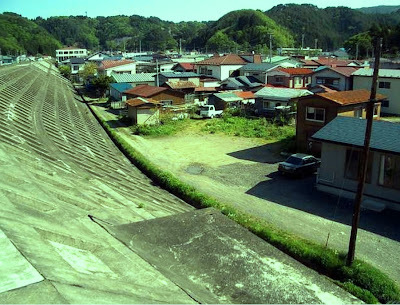 One in Kuji, a city in Iwate Prefecture that was damaged in Friday’s tsunami, was scheduled to be completed soon. 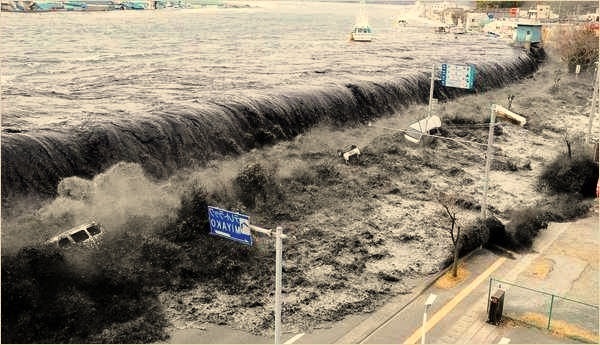 The sea wall in Taro (Tarou), was regarded as one of the most robust anti-tsunami accomplishments in the world. It is about 10 meters (30 feet tall).It was constructed after the 1933 Sanriku earthquake when a tsunami destroyed the village. The village of Tarou tucked behind its tsunami wall. This was built in response to successive tsunami which destroyed the town in 1896 and again in 1933. The 10m wall wasn't high enough for this one. The water topped the wall and ran up destroying most of the houses in this photo, and also started fires. Entry to the town was opened Sunday AM as rubble blocked both highway tunnels into town. So far it seems that most residents got to higher ground. Mrs. Yoshi Tabata, a survivor as a small girl of the 1933 tsunami, has been teaching everyone in town to keep their shoes nearby, leave with the first shudder of the earthquake, and know the path to high ground in the dark. In Taro, once the water cleared the seawall and hit the village, it stayed and raged there, having trapped the entire village inside a kind of ‘bowl’ formed by the seawall itself and the mountains behind the village. In fact, it could be said that it contributed to trapping victims and drowning many inside the perimeter’s powerful waters.